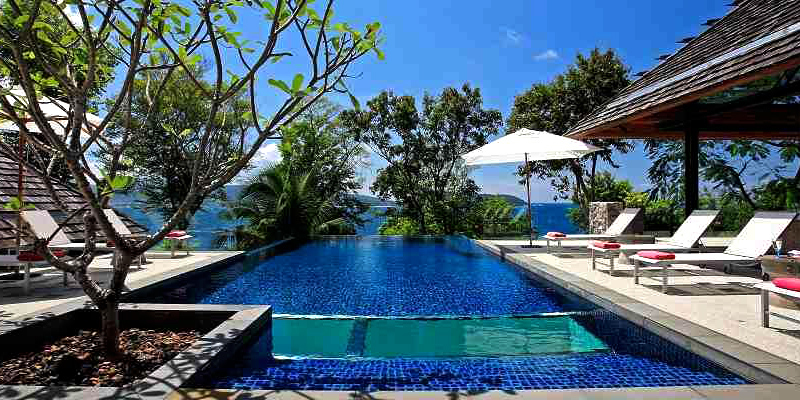 Majestically located on the front row of Samsara Estate orientated toward Patong Beach, Leelavadee indulge its guests with elegant architectural design, modern furnishings, and stunning view 24 hours a day encompassing azure Andaman Sea in daylight, vibrant glitter of Patong at night, and colorful sunsets in between. 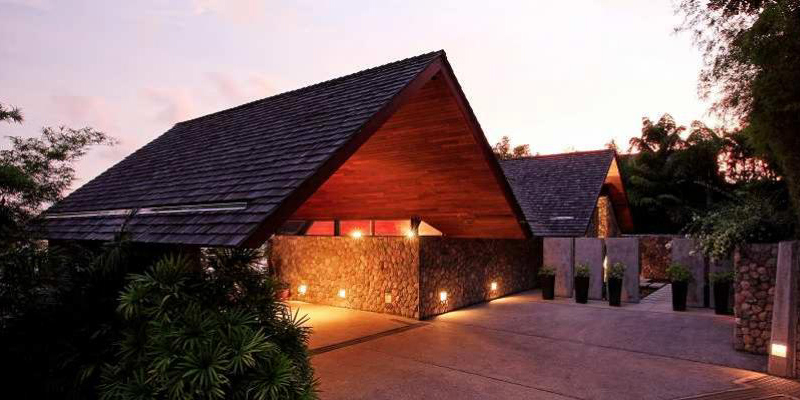 Leelavadee can accommodate up to adult guests in its 4 bedrooms, two of which come with double bed and the remaining two have twin bead. 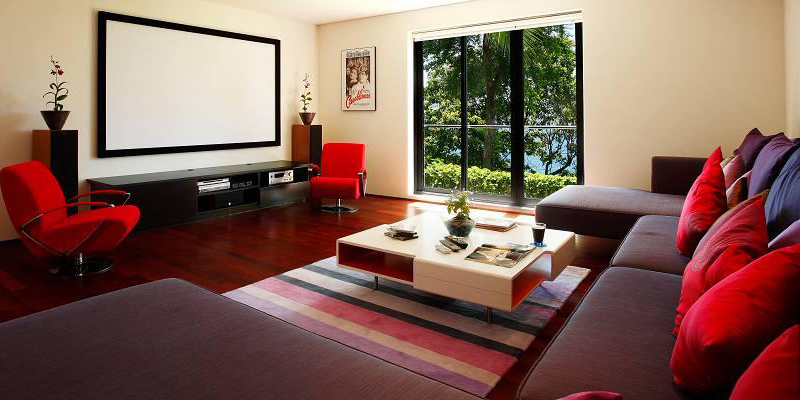 All are air-conditioned and equipped with private en-suite. 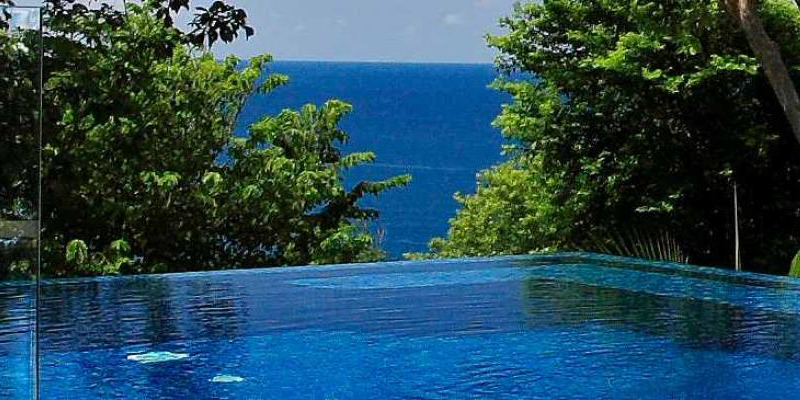 Surrounding its 14 meters long private swimming pool is expansive poolside area where you can enjoy the warmth of Phuket’s tropical sun. 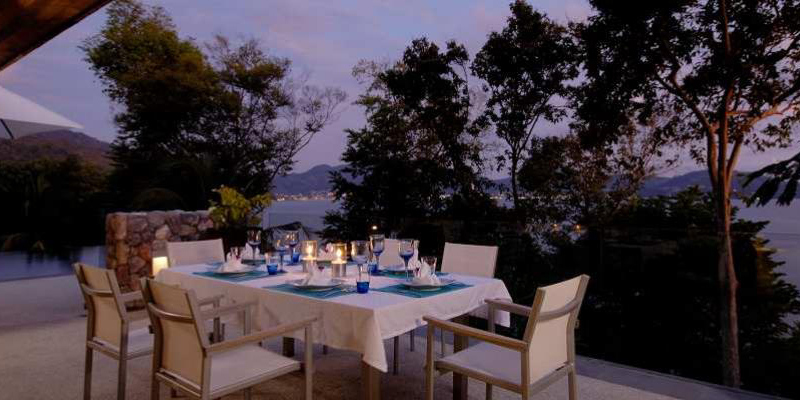 More than enough sun-loungers and parasols to tan your skin, there are also an outdoor dining table where you can enjoy al-fresco dining as the sun slides down. 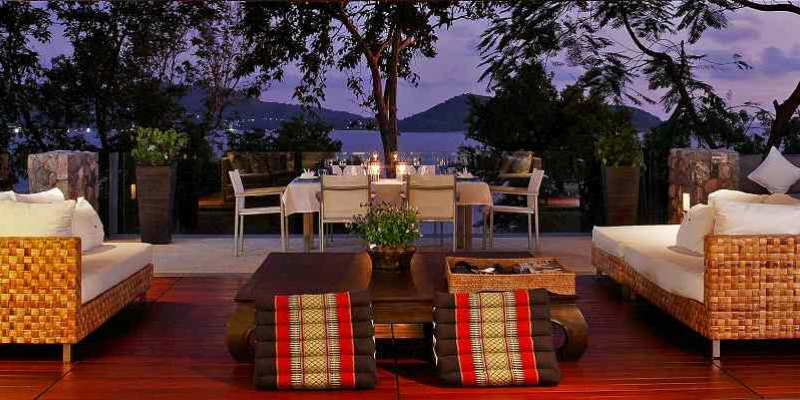 The outdoor dining table is accompanied by adequate BBQ equipment so your dinner can last way beyond the sunset. 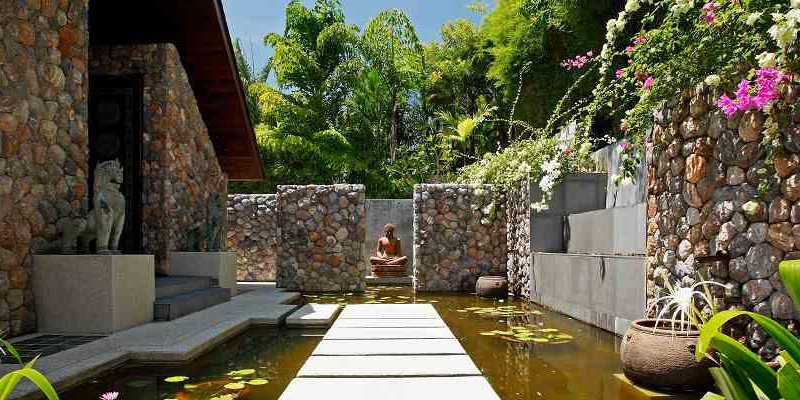 A unique feature that the swimming pool of Leelavadee has is glass panel at the bottom, making it transparent to the rooms underneath. 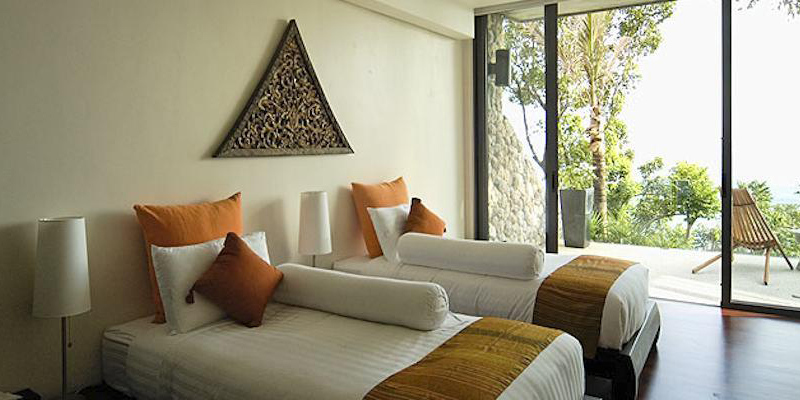 All bedrooms are air-conditioned and equipped with private en-suite. 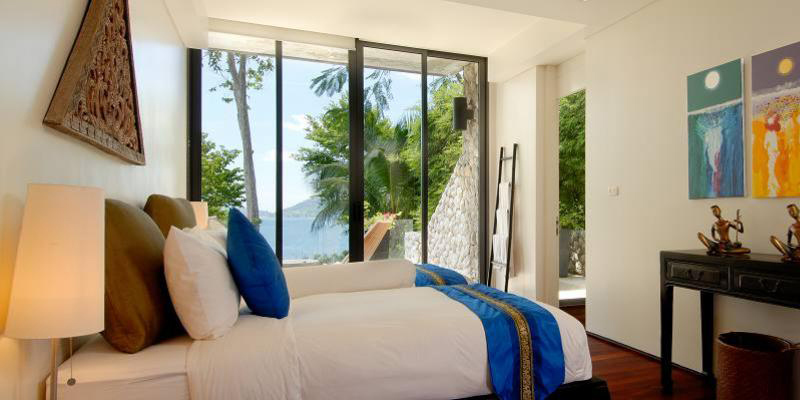 Terraces and balconies are attached to each bedroom, a perfect place to enjoy breathtaking view in seclusion of your own bedroom. 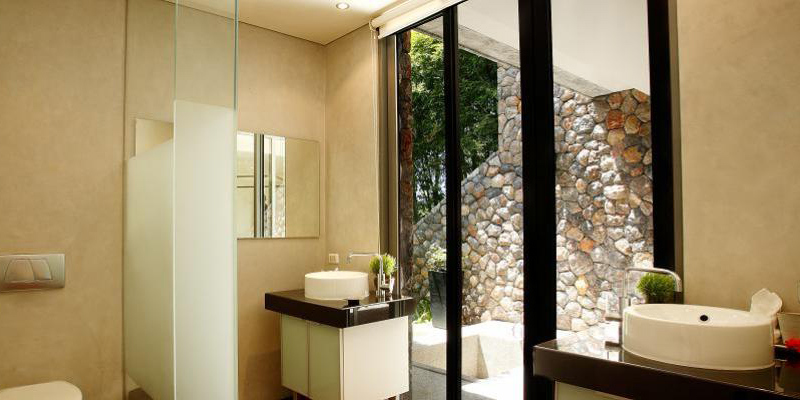 Relaxing atmosphere and breathtaking views come even into the bathrooms, making them a place not only to cleanse and refresh but also to indulge and unwind. Two bedrooms have double bed whilst the other two come with twin beds. The master bedroom obviously have more luxurious four posters bed in addition to larger space bot in the bedroom itself as well as in its bathroom. 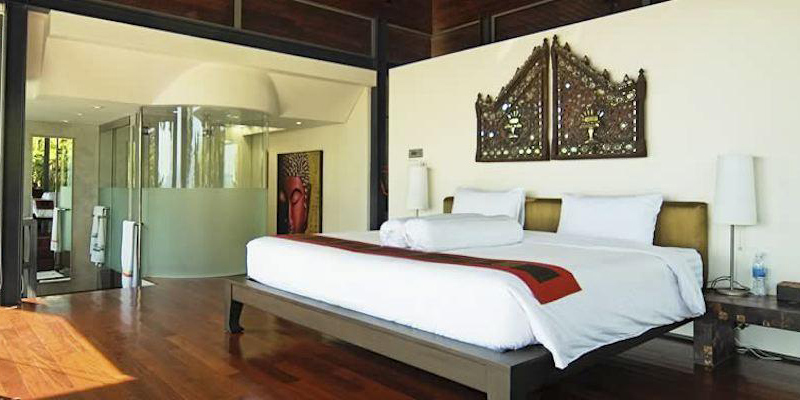 Luxurious bedrooms are something you can easily gets in resort hotels though, so what makes Villa Leelavadee a preferable choice when it comes to luxury holiday accommodation is its private common facilities. 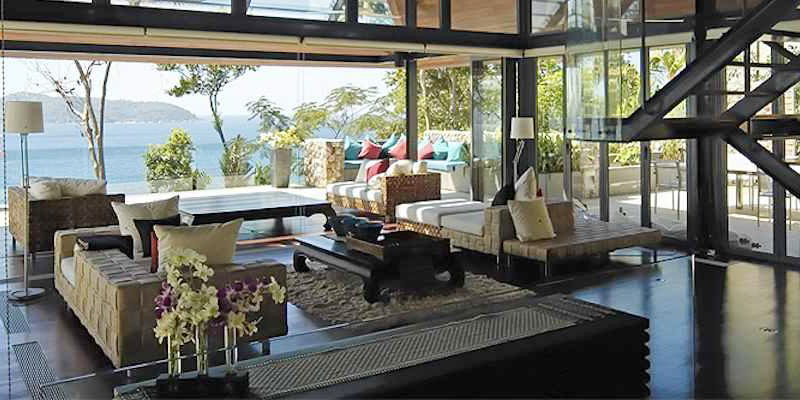 In addition to spacious living area with soaring ceiling and expansive opening to the view as well as private swimming pool with ample poolside areas, the villa is also equipped with various facilities that bring it to the top board of Phuket luxury villas. Dedicated air-conditioned private gym with adequate equipment not only to maintain your health but to also improve your shape. Additionally the gym also have a pool table should you prefer to enjoy your time in a leisure kind of sport. Separated cinema room with digital LCD projector and high quality audio system that allows you to enjoy similar your favorite movies at an impressive experience as in movie theater but in the comfort of home. 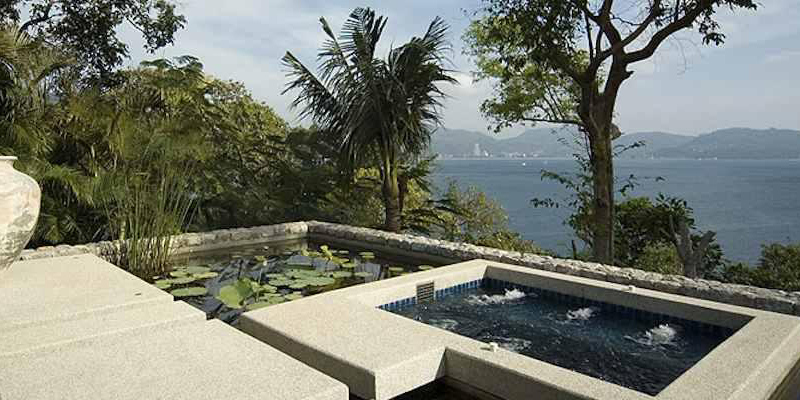 Outdoor Jacuzzi surrounded by peaceful water garden and openly overlook the ocean. 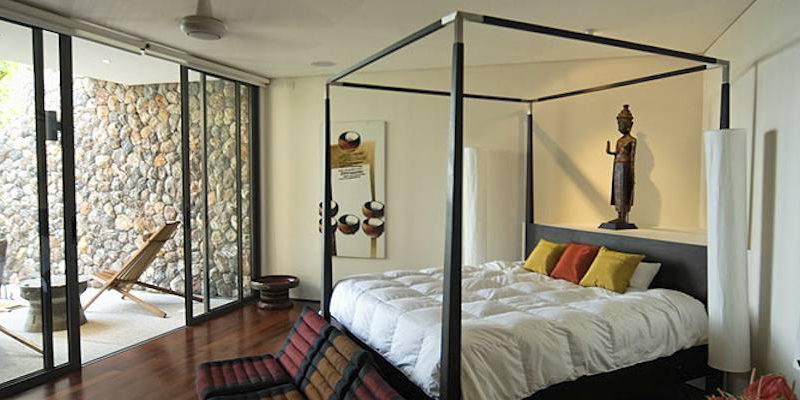 This facility is attached to the master bedroom but also accessible to everyone staying at the villa. This entry was posted in 4 bedrooms. Bookmark the permalink.